I admit it. I wish I could write calligraphy. The closest thing I get to it is my sloppy combination of print and cursive. And that is a far cry from the wispiness of beautiful hand-lettering. I envy those that have mastered the talent of elegant calligraphy. Maybe one day writing calligraphy will be second nature. For now, I'm starting with this book for some basic principles on sculpting out each letter to strand a word together (eventually). 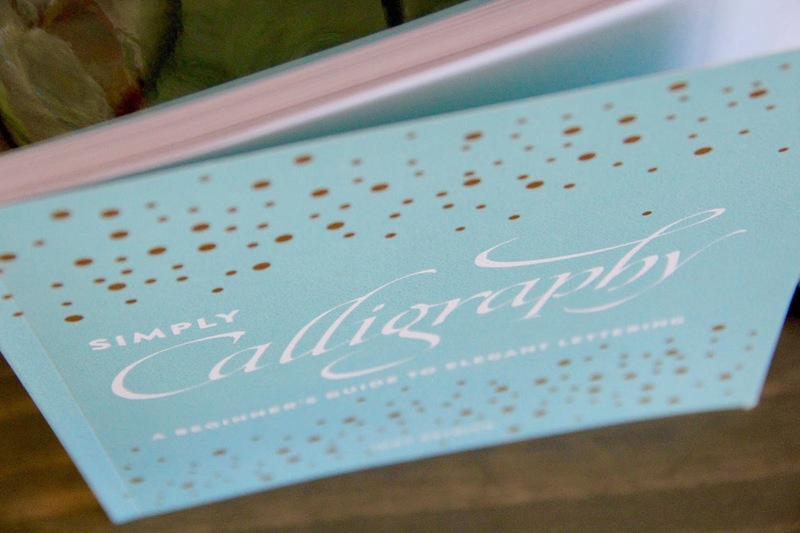 Simply Calligraphy: A Beginner's Guide to Elegant Lettering starts with just the basics so that the novice letterer can pick up the concepts of lettering easily. Walking you through each step with exercises, it's easy to get the hang of it, giving yourself the option to practice what you're reading. And this compact book is small enough to carry in your tote so that you can take your new-found hobby with you. The easy-to-follow guides will have you hand-lettering your own prints, invitations, and so much more. Learning calligraphy now is perfect timing for the upcoming fall season and holidays (hello, personally addressed envelopes and Christmas cards!). 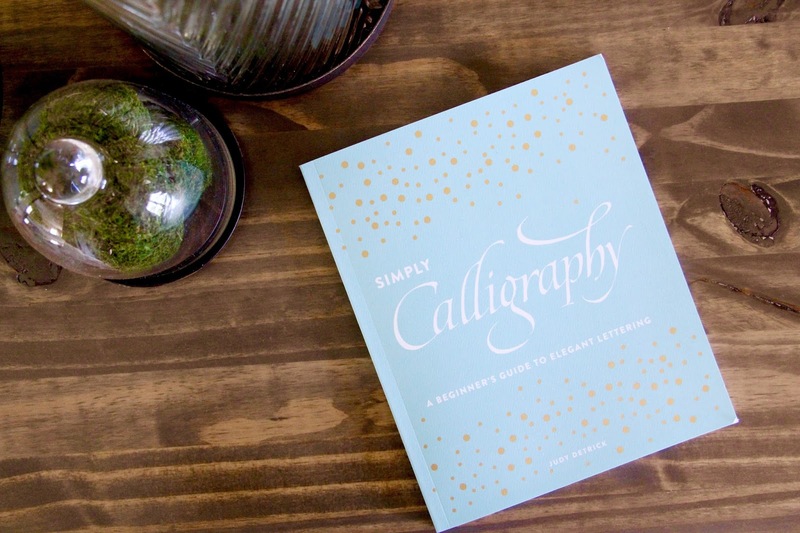 Grab a cup of coffee (iced if you're me) and settle into a quiet space with the book to start your first lesson in calligraphy. Am I the only one who wishes she could be a calligrapher? If you have successfully figured out how to do it, what is your best tip?? **I received this book from the Blogging For Books program in exchange for a review. All opinions are my own.